Renewable energy solutions are arguably at the forefront of home energy use innovations. This is not just because of environmental issues, but also because they are a means of being economically smart as energy prices rise more and more each year. While the use of renewable energy sources is on the rise, some people have remained hesitant, perhaps out of fear about getting involved in something that seems to be in its early days. That, however, is an unfounded concern, as innovations and improvements are being made every day. In fact, using solar power to heat your water is already an extremely viable and appealing proposition. Here are some of the most recent innovations in solar water heating. Solar water heating typically involves using “collectors” to absorb heat from the sun. Then, the heat is transferred to some form of heat transfer fluid. This fluid is used to either transfer or store the heat for use. Afterward, the heat is transferred to water that is intended for use in the home or business. Collectors have remained relatively static since the onset of solar power. Flate-plate collectors are still cost effective and efficient while managing to provide excellent functionality. Nonetheless, there have been interesting innovations for collectors, particularly in the form of evacuated-tube collectors. These collectors are particularly beneficial for use in colder and cloudier climates, as well as any situation requiring higher water temperatures. These have been found to reach higher temperatures and retain this heat energy better than other collector designs. Another major innovation has been the use of digital logging and monitoring. Systems are now capable of displaying information regarding energy measurements while also estimating energy levels. This has made solar water systems much more user friendly for the average consumer. Additionally, systems now commonly include memory and ports to hook the system up to external hardware. This is a nice innovation because users can now store and download their data. However, and perhaps most significantly, this allows users to track performance over time and to analyze that data. 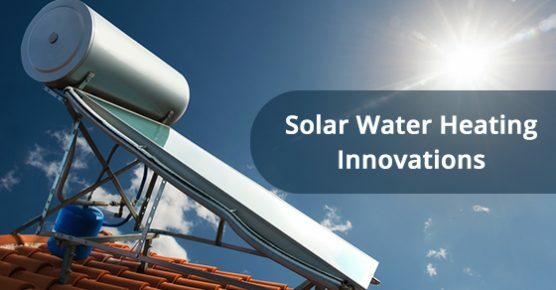 Solar water heater software is developing and innovating regularly. Many systems now allow users to track and analyse a wide amount of important data. For example, some software systems allow users to do things such as gauge the monthly heating load, determine which angle for the collector is best for maximizing solar energy collection, and calculate how much fuel is offset in the collection and use of the solar energy based on your own personal usage. All of this makes for a much more comprehensive and productive use of solar water heating systems. If you are in need of professional plumbing services, call Advanced Plumbing at 877-286-8044 or contact us online here. We’re the plumbing experts. Advanced Plumbing offers efficient plumbing solutions, upfront pricing and 99.9% customer satisfaction.